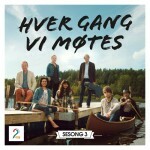 In the late August and start of September, Alexander takes part in the recording of the popular TV-show “Hver gang vi møtes” by TV2 – Norway. 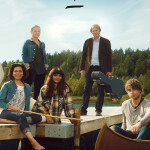 In the show, which will be broadcasted by TV2 in the beginning of 2014 as 8 weekly programs, 7 popular norwegian artists live together in a farmhouse in Norway for nearly two weeks, spending a lot of time together and being portrayed, from both their private and professional sides. The artists will sing each other’s songs, with each of the episodes dedicated to songs by one of the participants. 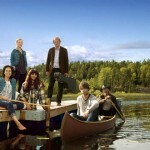 From left to right : Lars Lillo Stenberg, Samsaya, Øivind Elgenes, Anneli Drecker, Sigvart Dagsland, Simone Eriksrud and Alexander Rybak. 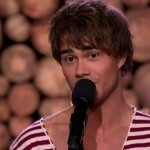 Alexander Rybak in “Hver Gang Vi Møtes”. I’m very sorry,I have some small mistakes in the sentence,hope you can forgive me,thank’s. I’m from China and I’m chinese.your song and smile left a deep impression on me,especially yuor exquisite violin performance,were fantastic! And we would be delighted if you could come to china. Dear Alexander, please give me your e-mail adress. I really want to tell you something about the concert in Hannover yesterday. For me it is important to tell you my opinion,i was a bit disappointed. I know you have not much time, but i would love if you want to hear my view (and maybe more fans have the same opinion). I’m so glad that I was able to send email. I heard the song “Fairy Tale” I enjoyed very much.